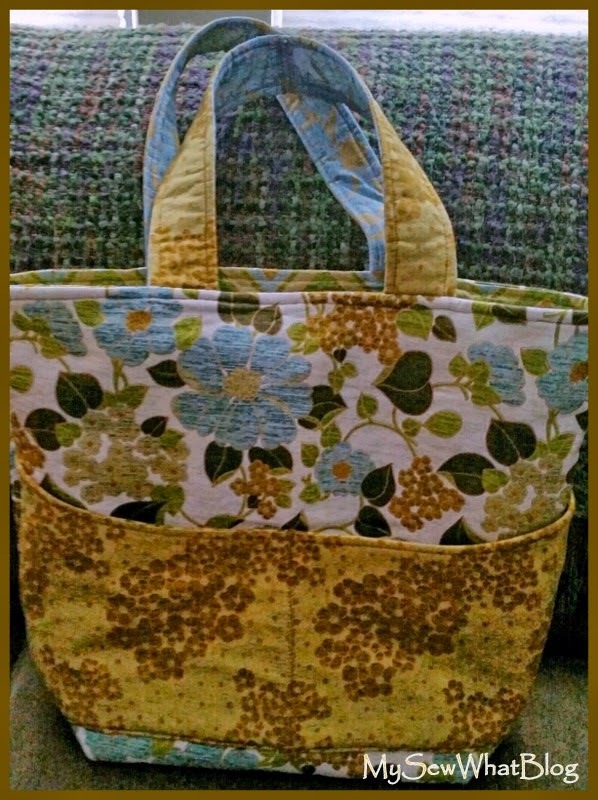 Today I completed a bag that I started last night. 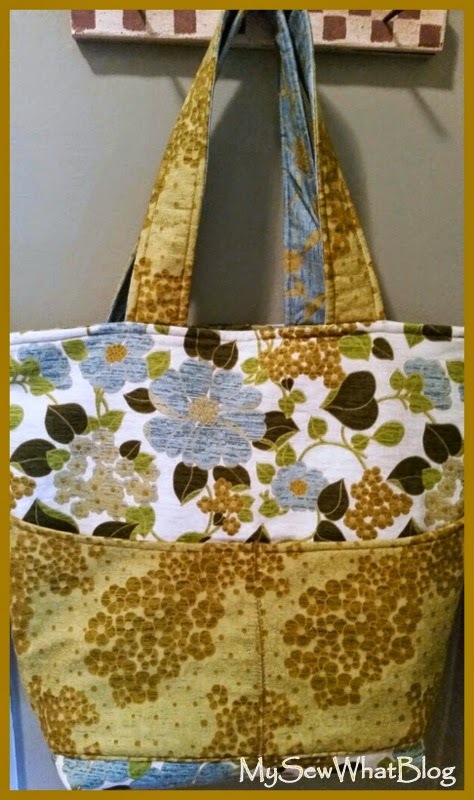 The color scheme of this tote: blues, greens and golds, remind me of early fall colors when everything takes on a golden glow. I am already seeing that glow in my backyard. Seems a little early to me but if we have an extended fall--that is alright with me. What I don't want is an early winter! These various fabrics came in a bundle of fat quarters. 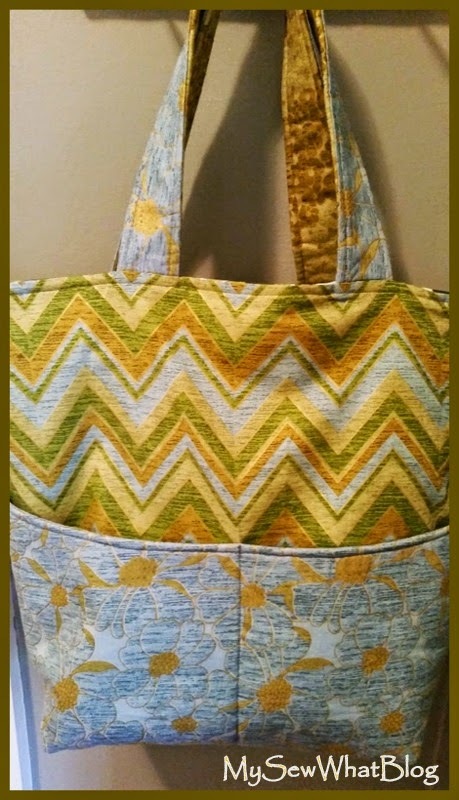 Inside is a trendy chevron print. 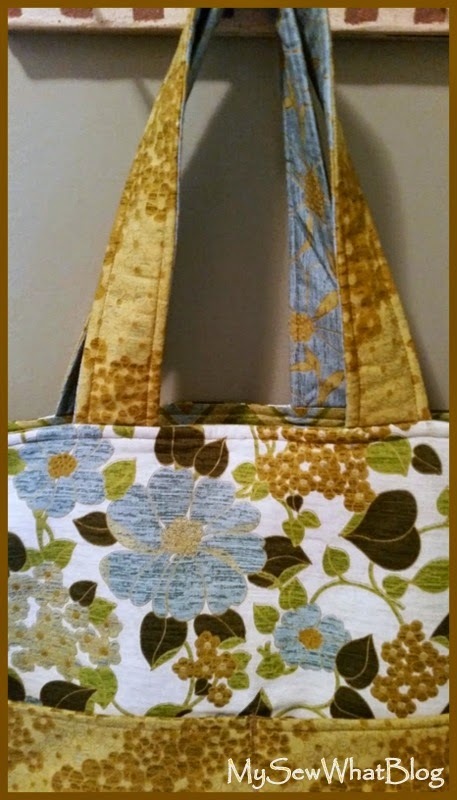 I love making totes that are reversible. Twice as fun and twice as useful! Well--that's all for today folks! My husband is taking me out for dinner at a nearby restaurant with outdoor seating. It is going to be a beautiful evening for dining outside! Have a great weekend!